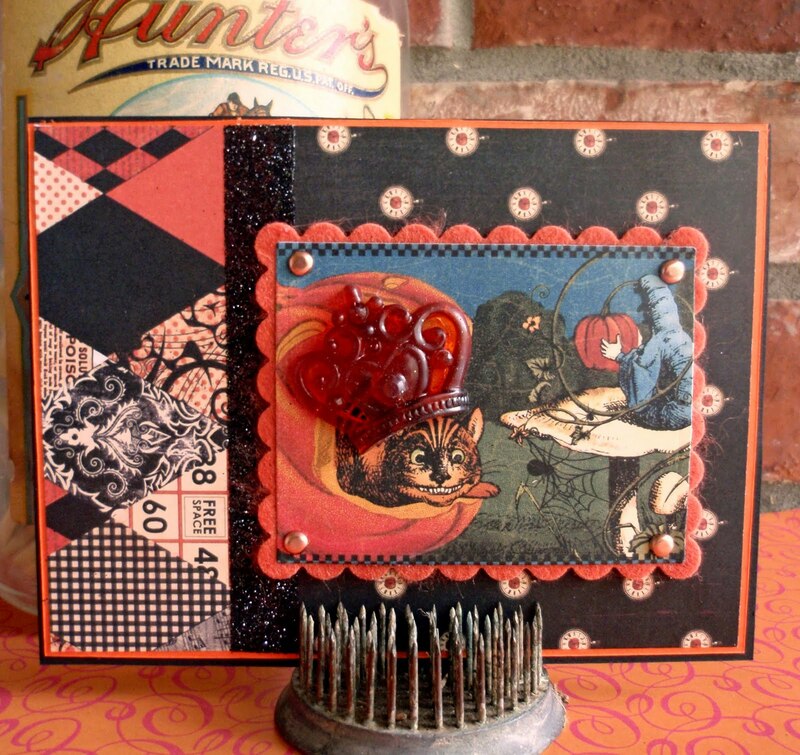 As promised here is my second card using my new Authentique paper pad. I used yesterday's technique of the Scor Tape sprinkled with fine glitter again. I think I love this look. 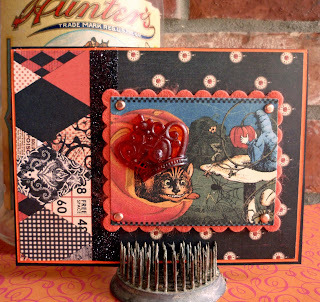 The focal image is from an older paper pack and is backed with the only die I used on this card - the scalloped rectangle from Spellbinders. I am keeping this short and sweet so I can work on tomorrow's post. I have a big announcement and I can't wait to share it with you.